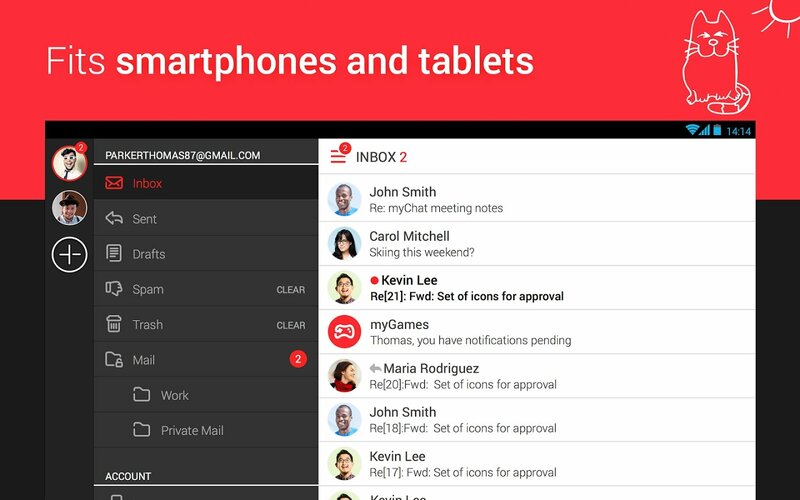 Unifying different email accounts under the same interface contributes towards their management, as well as to reducing the amount of applications installed on your device. 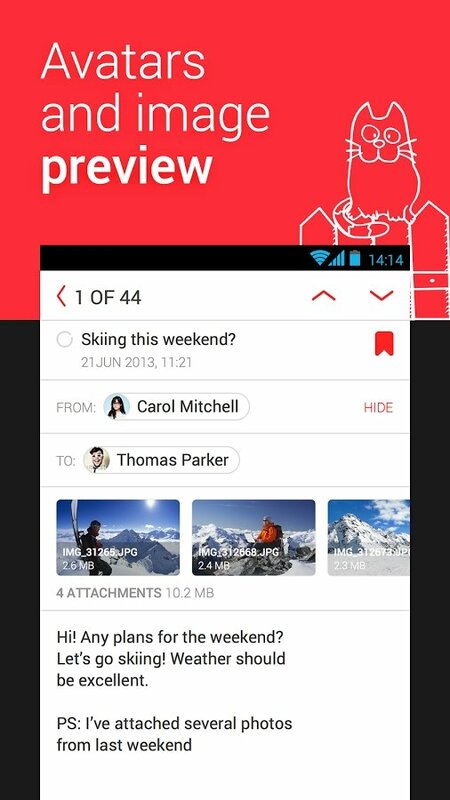 With myMail you can now do so on Android. 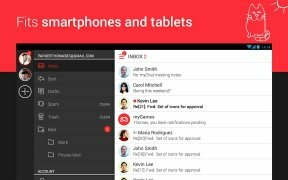 myMail is a fast application that offers you the possibility to manage different accounts with simple gestures that allow you to carry out the most common actions when it comes to handling your mail. By unifying all your accounts in a single application, you won't waste a single minute switching from one email client to another, thus gaining in productivity. Support for Google, Microsoft, Yahoo!, AOL, GMX, Mail.Ru, Yandex and Apple's email services. Automatic detection of IMAP, POP and SMTP settings. 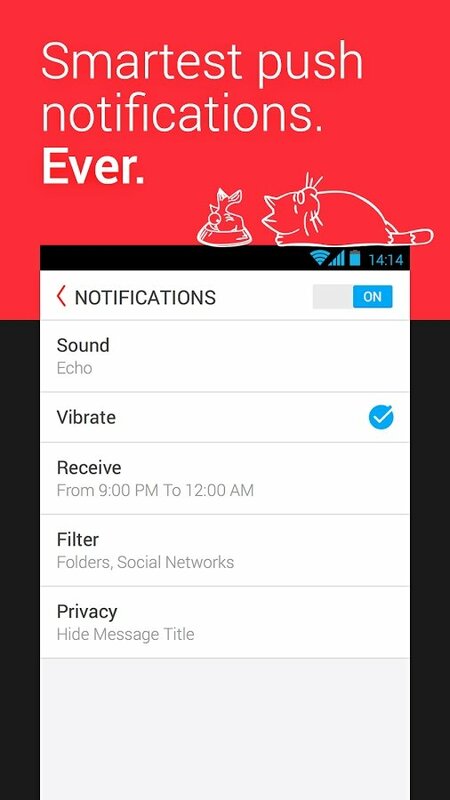 Instant push notifications for new messages. 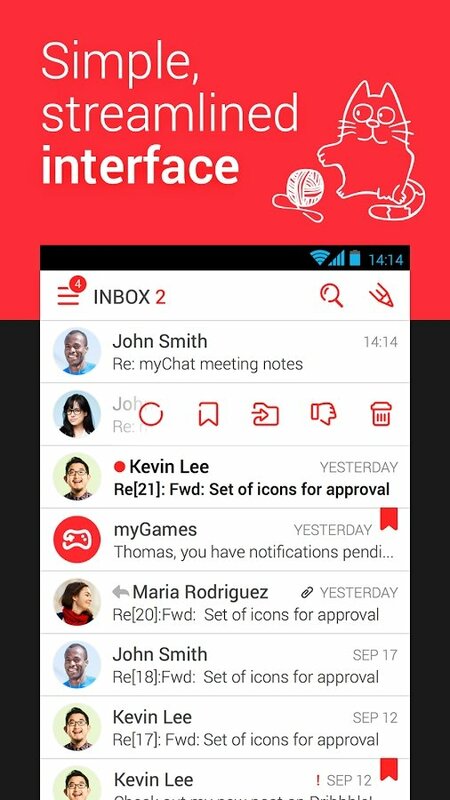 Possibility to mute email accounts to separate work and leisure. 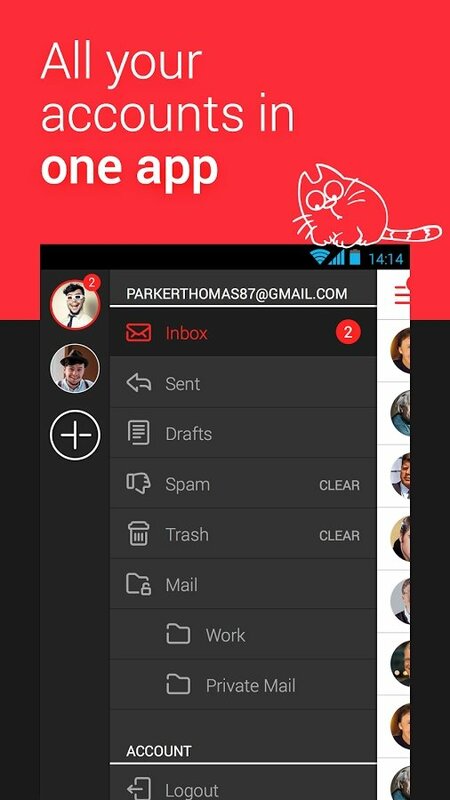 Faster browsing by means of message lists. Customize the aspect of the messages. Quick composition of search queries. myMail's design has been conceived so that all the contents of an email account are much more accessible at first sight, at the same that the search aspect has been very well-cared, so that searches are simple and fast. All the latter, without neglecting security, as data are encrypted to guarantee their integrity, privacy and security, even in the case of open Wi-Fi networks. 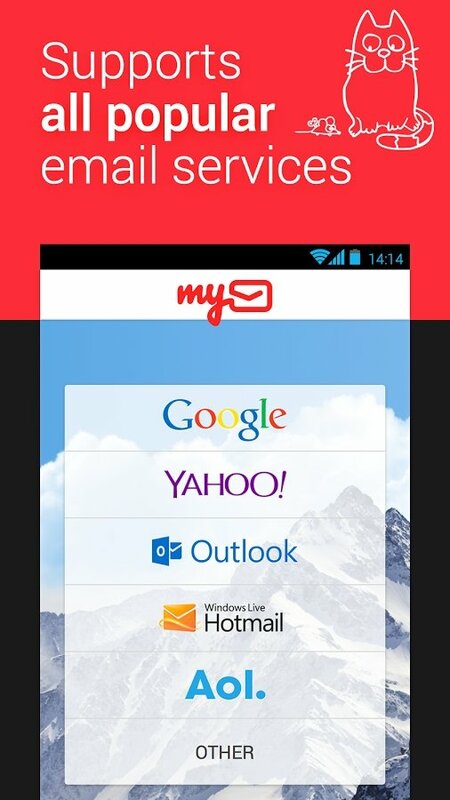 Thanks to myMail you can now manage all your email accounts much faster and with greater efficiency.